Not 100% satisfied with our products? They can be returned within 30 days of purchase for a full refund as part of our unconditional satisfaction guarantee. If you are not 100% satisfied with our products you may return them within 30 days of purchase for a full refund (less shipping charges). Items returned after 30 days may be subject to restocking fees. Items returned after 30 days may be subject to restocking fees. You are welcome to return items in exchange for items in a different scale or rail size providing the tools have been unused and are in resalable condition. Items may be returned for exchange up to one year after purchase. A 25% exchange fee may be applied for scale or rail size exchanges. Sorry, we are unable to provide exchanges for tools or supplies that have been used or older than one year. You may cancel any unshipped, non-custom orders without penalty. If a non-custom item has already been shipped, you may return the item for a full refund less any shipping charges providing the item(s) are unused and are in the original packaging. You may only cancel custom ordered items if we have not started production of the item. To cancel an order please send an email message to service@fast-tracks.net. 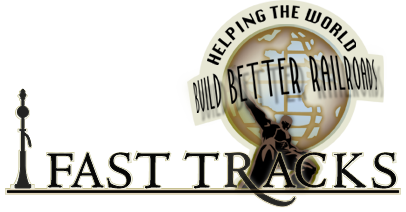 Before you return any item, you must contact us at service@fast-tracks.net to obtain a Return Merchandise Authorization (RMA) number. We will provide complete return instructions when we issue the RMA number. We reserve the right to amend and update our Returns Policy at any time without notice.